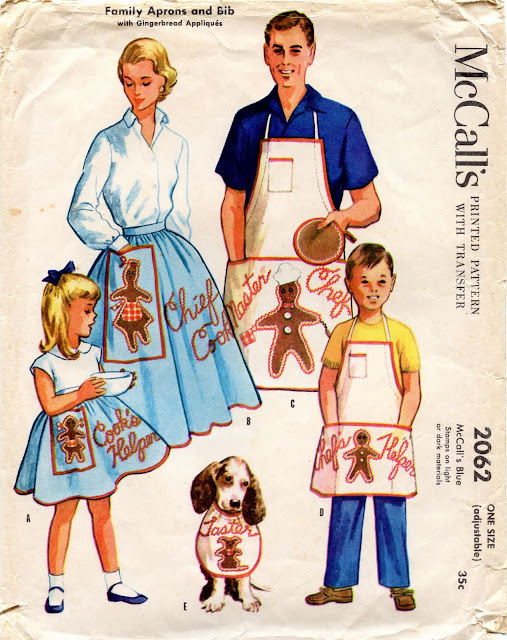 If two points describe a line, then two aprons featuring dogs describe a trend, and McCall seems to be blazing the trail. 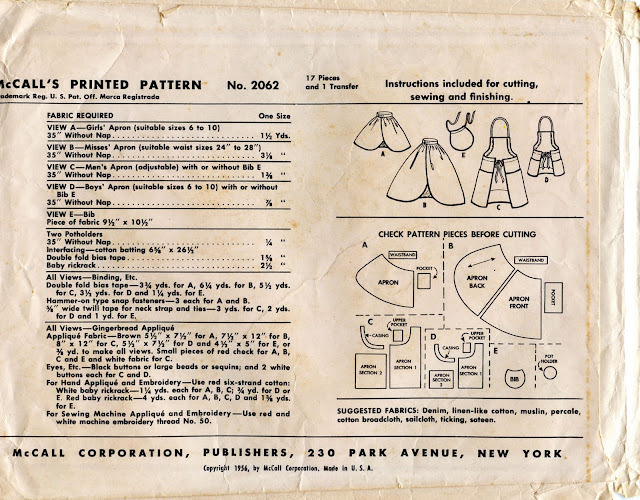 You'll recall their his-and-hers "in the dog house" aprons from 1942. Ten years later, that happy couple have produced the lovely family you see here. The menfolk wear straightforward butcher's aprons while Mother and Sissy sport bouffant numbers. Notice that even their gingerbread gals wear skirts. And I just don't know what to make of the pooch's bib. They can't be serious. 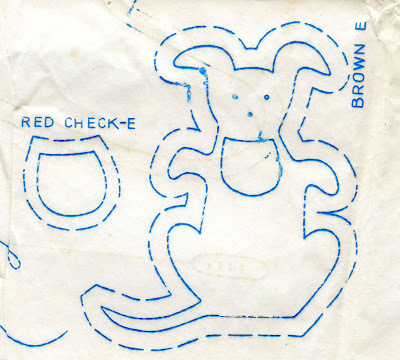 But the bib does have a gingerbread dog on it. Thanks for all the fascinating items you've posted throughout the year. This came out the year I was born. The dog's bib would probably double as a baby's bib and Taster would work there just as well. 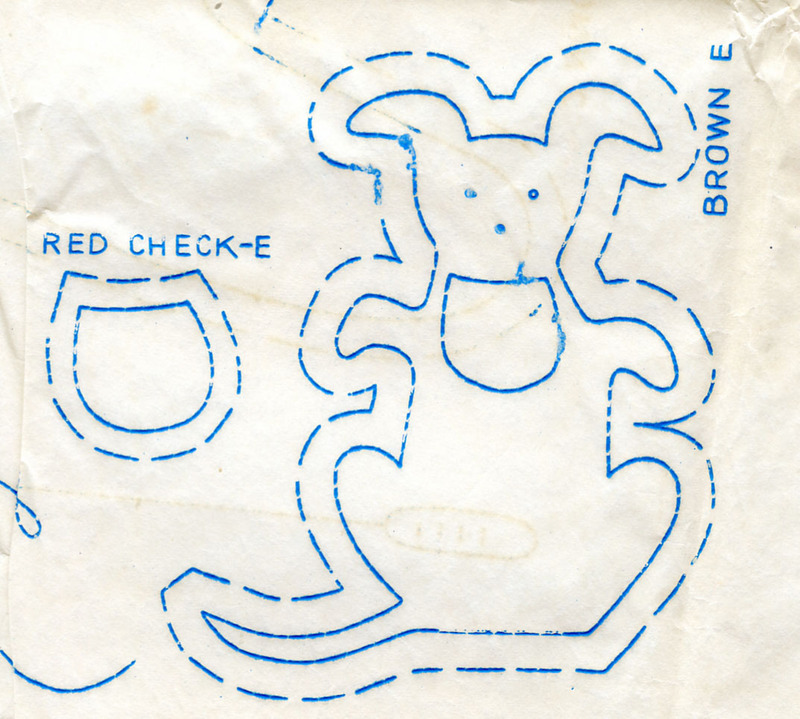 I have to assume the bib really intended for a baby, after the designers decided that a gingerbread baby just wasn't interesting, maybe puppies would work better. I have a vision of Junior, safely tucked in a high chair in the corner of the kitchen, happily gnawing on a gingerbread man while the rest of the family worked the holiday gingerbread man assembly line. Have to confess that I love that there's a "Taster" bib for the dog. I wouldn't actually put it on my dog, because she would hate it, but it's cute. 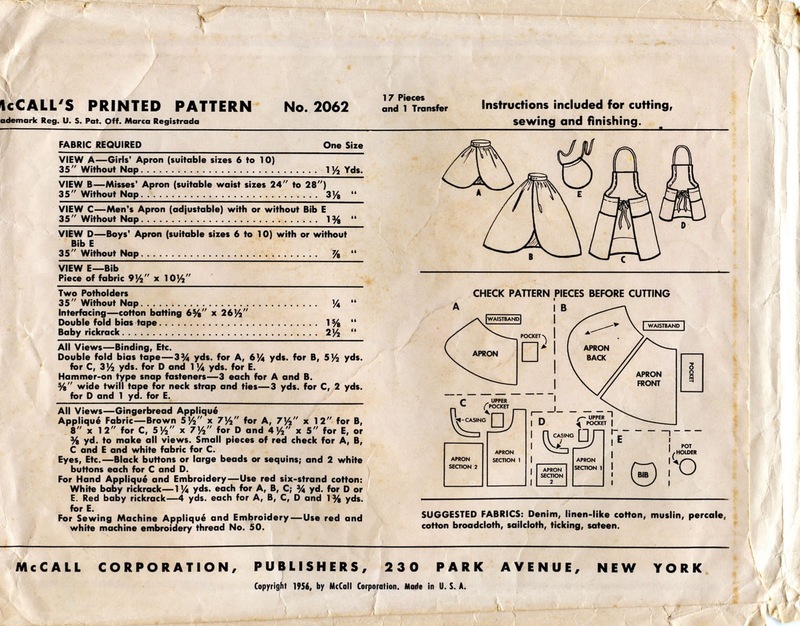 That's brilliant that we can connect the pattern with a finished apron!